Love this! The flyers is what brought my baby home! 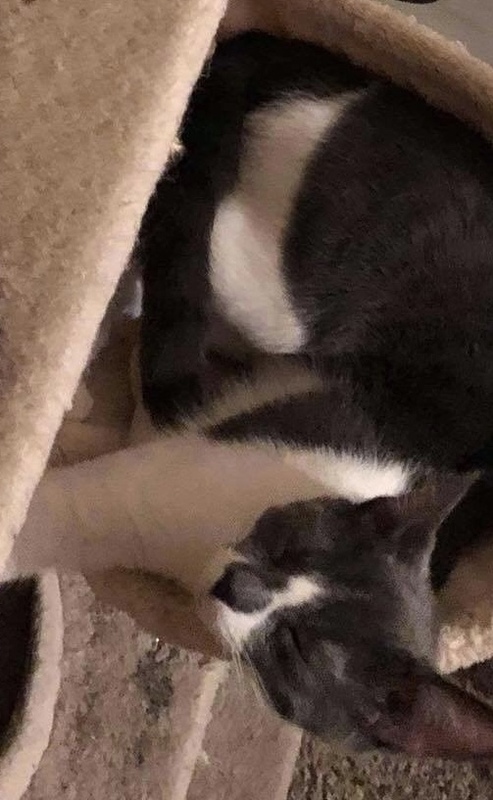 She is a grey and white kitten with a gray spot under her chin and a white stripe down her nose.